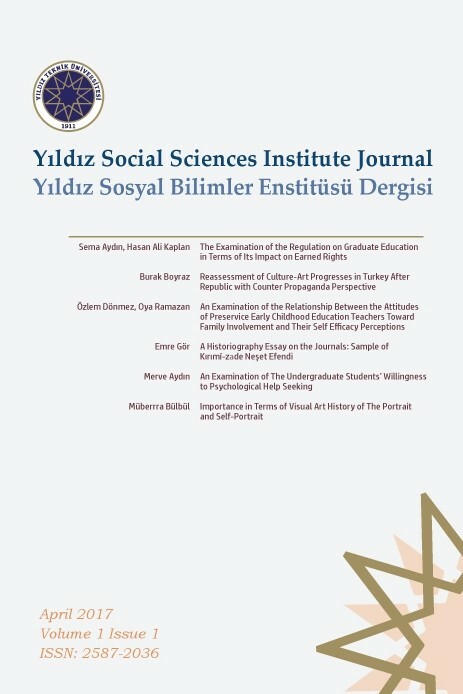 Yıldız Social Sciences Institute Journal (YSSIJ) is a open access scientific and "double blind peer review" journal published twice a year (April-October). The publication language of the journal is Turkish. Studies in other languages can also be accepted and published with the decision of the journal editorial board. No fee is charged from the author(s). All publishing rights of the articles belong to Yıldız Technical University. The opinions and arguments expressed in the articles published in the journal are solely belong to the author(s) and do not reflect the views of Yıldız Technical University administration. All legal liability for the contents of the articles belongs to the author(s).